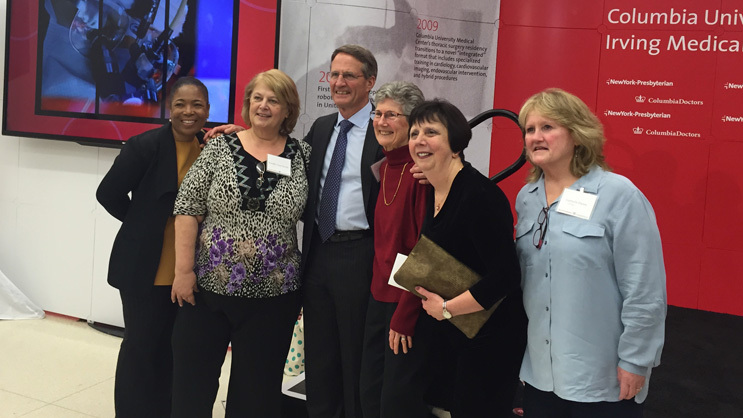 On March 29, 2017 NYP/Columbia celebrated 60 years of innovation in open-heart surgery with a gathering of patients, doctors, surgeons, nurses, and an official proclamation from the New York State Assembly and Manhattan Borough President, Gale Brewer. In 1956, Dr. George Humphreys performed the institution’s first open-heart surgery on a child with a congenital heart defect. NYP/Columbia has completed tens of thousands of heart procedures since and now performs more than 2,200 open-heart surgeries each year. 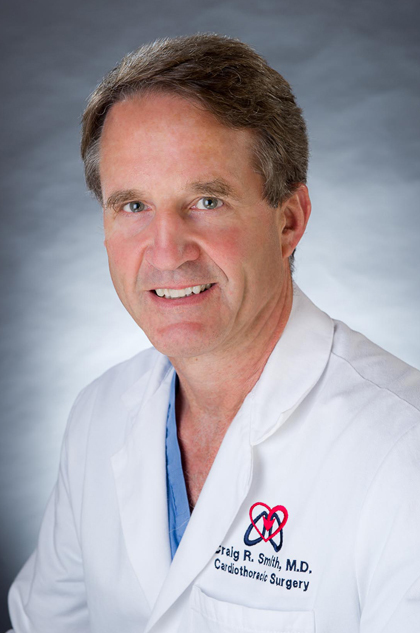 “The continued success of our cardiothoracic surgery program is a testament to the dedication of our multidisciplinary team, including surgeons, cardiologist, nurses and researchers,” said Craig Smith, MD, chair of the Department of Surgery. Drs. Emile Bacha and Paul Chai implant a ventricular assist device in the world’s youngest patient who later received a successful heart transplant. Dr. Emile Bacha is the first surgeon in the world to use 3D printing in the surgical repair of a heart defect. The landmark PARTNER trial, led by Drs. Craig Smith and Martin Leon, paves the way for the approval of transcatheter aortic valve replacements (TAVR) for aortic stenosis. Drs. Michael Argenziano, Craig Smith and Mehmet Oz perform the first totally endoscopic, robotic open heart operation as well as the first robotic coronary artery bypass operation in the US. NYP/Columbia team performs the country’s first ABO blood-type incompatible heart transplant in a child. NYP/Columbia doctors are the first in the nation to successfully transplant a child with complex single ventricle after an unsuccessful corrective surgery. NYP/Columbia becomes the only medical center in the state to be designated a regional heart transplant center by the New York state Health Planning and Review Council. A team of NYP/Columbia surgeons led by Dr. Eric Rose performs the world’s first pediatric heart transplant. NYP/Columbia leads research on left ventricular assist devices (LVADs) and extracorporeal membrane oxygenation (ECMO) dramatically improving the time children with heart failure can survive while waiting for a transplant. The institution establishes its heart transplant program. NYP/Columbia physicians publish their approach for managing patients with Tetralogy of Fallot, a standard for many years to come. “We will continue to put our patients first and provide the best possible outcomes for the next 60 years and beyond,” said Dr. Smith.